“After only 3 treatments my tattoo has almost disappeared! Thank you, Sugar Land Laser Tattoo Removal!” – Lisa G.
“My appointment at Sugar Land Laser Tattoo Removal was so quick and easy. I have recommended them to everyone I know who is looking to remove their tattoo.” – Jason M.
“I was really nervous about going through the process to get rid of my ink. I did a lot of research on the internet and didn’t know what to expect as far as pain and what the results would be like. My first visit was way better than I thought it would be and I highly recommend them!” – Priscilla G.
“My experience at Sugar Land Laser Tattoo Removal was amazing. I couldn’t believe how immediate the results were! The staff put me at ease and their professionalism exceeded my expectations.” – Tyler W.
“I had several treatments in the past and was unhappy with the results. A friend referred me to Sugar Land Laser Tattoo Removal, and after three treatments my tattoo is 95% gone. I can’t wait to see the results of my next session!” – Bianca M.
“I am so pleased with the result of my tattoo removal session. I can’t believe how faded my tattoo is after only one treatment! Being a school teacher, I was tired of covering my wrist up all the time for work. 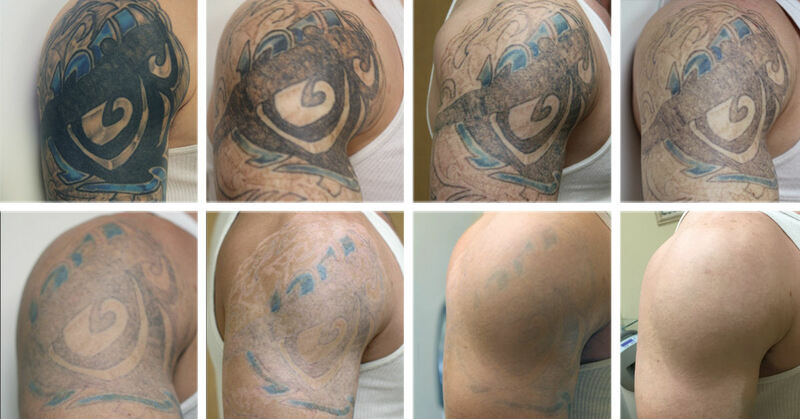 After months of rubbing tattoo removal cream on – which didn’t work, I called Sugar Land Laser Tattoo Removal. I was skeptical at first since the tattoo removal cream didn’t work. However, a week after my appointment, my tattoo had lightened up so much! Many of the lighter lines are barely even visible anymore! Don’t try any other method…Go visit Sugar Land Laser Tattoo Removal if you need a tattoo removed!” – Kristen M.
Read more Sugar Land testimonials and reviews on our G+ page.